Represent the South Pacific Division providing MUSIC at the GENERAL CONFERENCE SESSION in 2020. We are looking for a diversity of culture, age, styles & genres including singing groups, choirs, bands, soloists and instrumentalists. All applications must be done online. 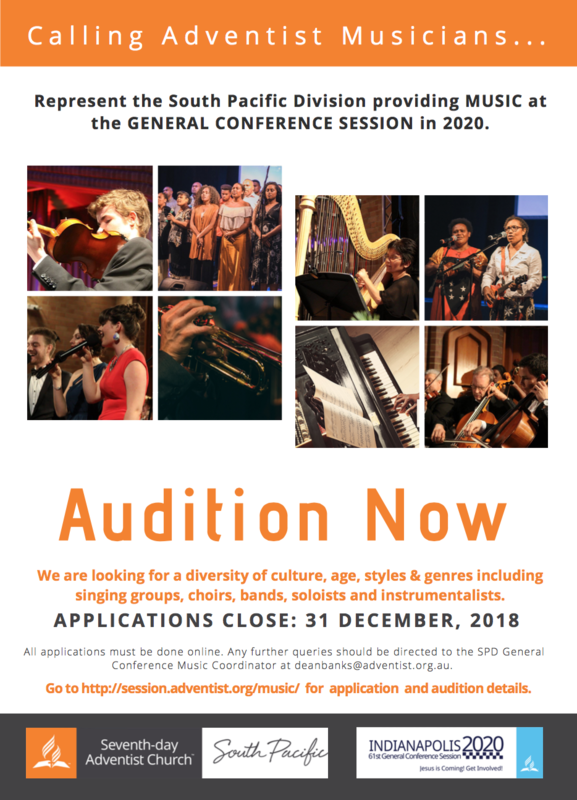 Any further queries should be directed to the SPD General Conference Music Coordinator at deanbanks@adventist.org.au.